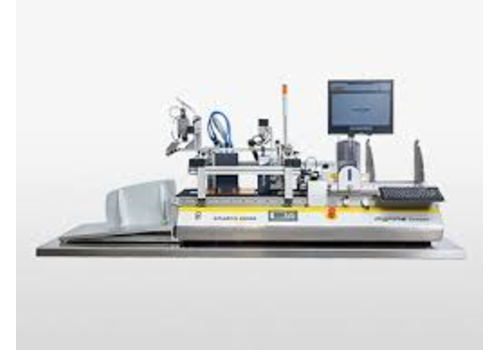 DIGILINE Compact is a flexible and cost-efficient coding system for the production of small batches available in different print widths, belt speeds and additional camera option. DIGILINE Compact codes and prints flat products with high quality print. The UV-A curable ink allows printing on smooth and non-porous surfaces such as cardboard material or paper. The Label Designer layout software allows fast and easy definition of the print layout. Individual coding, serialization or personalization can be affected with surprisingly short change over times. The optional inspection camera helps to verify readability of codes and stops the feeder on non-readable products.